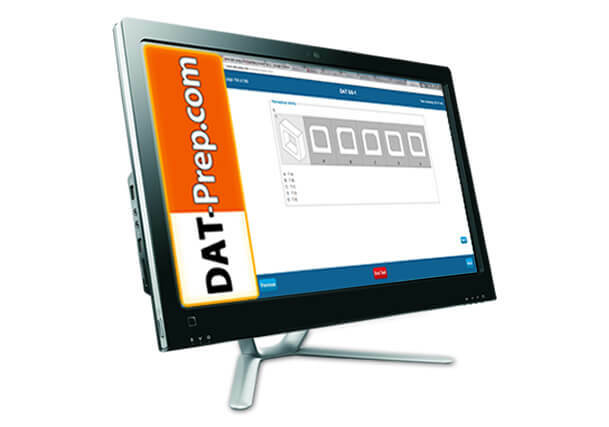 Purchase all 5 full-length DAT Practice tests Gold Standard GS-1 and GS-2 and the 3 TopScore exams for $115! Online access codes to the GS exams will be emailed to you after purchase (sent to the email address associated with the payment and/or Paypal account, please also check your junk folder). TopScore Pro access information will be emailed to you within 1 business day. The GS free mini sample DAT practice test will be automatically added to your account for a total of 6 exams. GS-1 access is the web-based version of the paper exam in our Gold Standard DAT PAT book. 2 new full-length practice DAT tests which simulate the real DAT. 100% online with instant access. All 4 sections: NS, QR, RC and PAT! 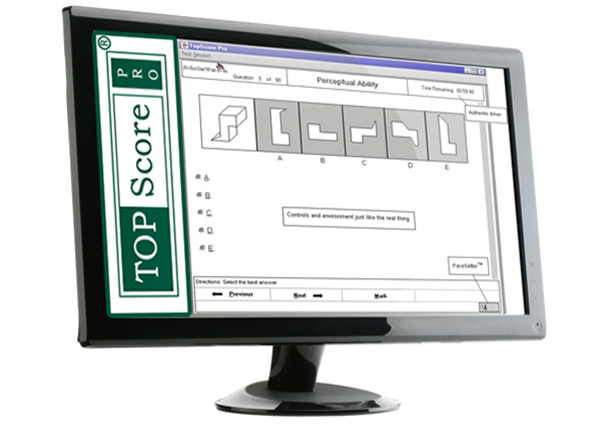 Explanations and instant scores for all multiple choice sections. 3 hours of Natural Sciences videos to help you understand test question explanations. One payment with online access for up to 7 months. A GS free mini sample practice exam (1/3 length, GS-Free) will be automatically added to your account so you will have 3 GS DAT practice tests. Works with Windows/PC and Mac/Apple. You can repeat any exam section as often as you want during your access period; each attempt is saved with scores, answers and helpful explanations in your History section. 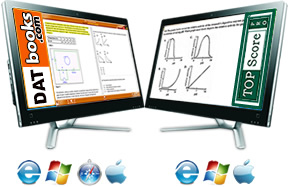 GS-2 access is a web-based exam provided for free if you purchase the Gold Standard DAT 4-Book Set or the Complete DAT Package with DVDs and MP3s. 3 complete COMPUTERIZED DAT Practice Tests; 2018 Ed. All 4 sections: NS, QR, RC and PAT! Explanations and instant scores. You can repeat any exam section as often as you want during your access period. Easy to use! Experience the DAT practice questions and get exam experience BEFORE your real test date. License Key to unlock downloadable TopScore Pro software provided through e-mail within one business day. Up to 7 months access from the activation date. * Access codes are nonrefundable. This set may very well be one of the best and most comprehensive preparation packages of its type on the market today. They contain everything you need to know for the actual DAT. These extra questions easily push DAT Gold Standard into the top tier providers for PAT and RC questions. You will not find another resource for the DAT that is better quality than The Gold Standard! They offer through explanations about everything so that you are never left in the dark. Copyright 2018 DAT-prep.com. All Rights Reserved. *DAT is a registered trademark of the Association of American Medical Colleges ( AAMC), which does not endorse this study guide or our methodology.